It's been cold in Washington, D.C., in recent days. 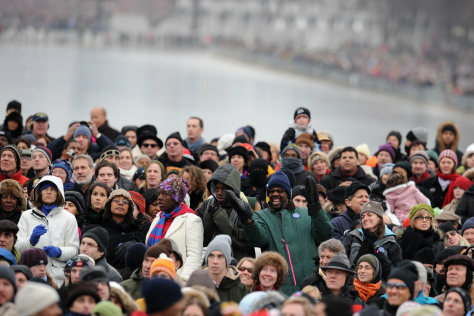 People bundled up Sunday as they watched the "We Are One" concert at the Lincoln Memorial in Washington. The concert was one of the events for President-elect Barack Obama's inauguration.